Who would have thought that an All Terrain Vehicle can be so portable! Introducing the Tarus 2M, a prototype military Russian Vehicle that offers interesting features that no other ATV has to offer. This all terrain vehicle has a two wheel drive system that can withstand any challenging terrain. It can pass through mud, climb rocky hills and even floats on water. What really makes this Tarus 2M more interesting is the fact that it can be disassembled and fit on a suit bag. If ever you got stuck, this vehicle can be pulled by hands and you no longer need winch or other vehicles to pull you up. 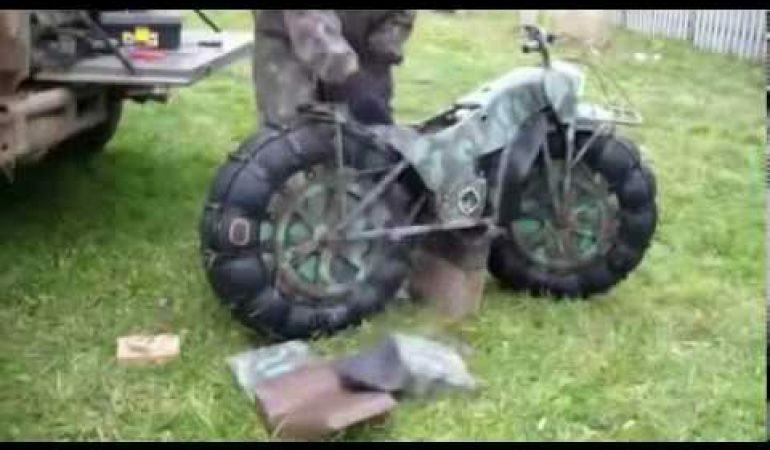 Check out this incredible ATV in action below.